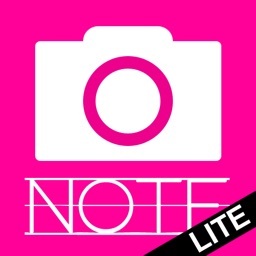 Photo Notes HD Pro by Angry Chicken Inc.
One Stop Photo Notes is the best caption and collage app in the app store. It's versatile, full featured and easy to use! 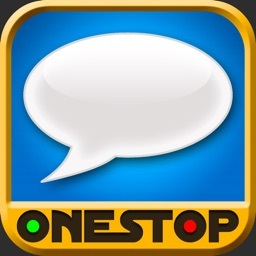 "Greatest app EVER! my friends cracked up when I sent them a picture using this :)"
"Love this program! It's easy to use and looks great! One of my favs!" "This is my main app that I use to make memes out of pictures or just funny captions." "Exactly what I was looking for. Worked perfectly!" Put words in your friends mouths with Photo Notes! You've used Hipstamatic, Instagram and Color Splash to make your cool photos cooler. Make them cooler still with Photo Notes! You take great pictures, why not spruce them up with some funny captions! Do you want to remember when and where you took your shots? Add some text to your pictures! You have complete control over the position, size and orientation of the caption. You control the color and the font. You can even point those little thought bubbles right at your cat's furry head! When you're done, send your pics to your friends using one of our many publishing options. Combine your photos in innovative photo collages - the photos can be clipped in a number of different shapes! Add smileys to your photos then resize and rotate them. Do you want to point something out in a photo? Add an arrow and then change its color! All shapes have borders; you control the border width, drop shadow and the color. In the latest release we have completely redesigned the user experience. 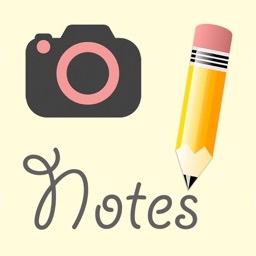 Photo Notes is easier to use and more intuitive than ever before. Navigation between controls is seamless and effortless, there are shortcuts to add shapes and the color chooser has been completely redesigned. • Get the text, font, colors and border just right then save the shape to favorites for future use. 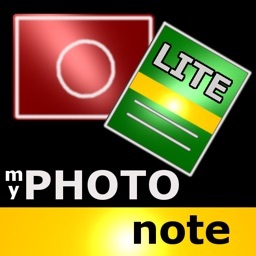 • Edit up to 10 Photo Notes at one time. • Edit the original photo or the finished Photo Note with effects and filters including crop, rotate, brightness, red-eye reduction and more. 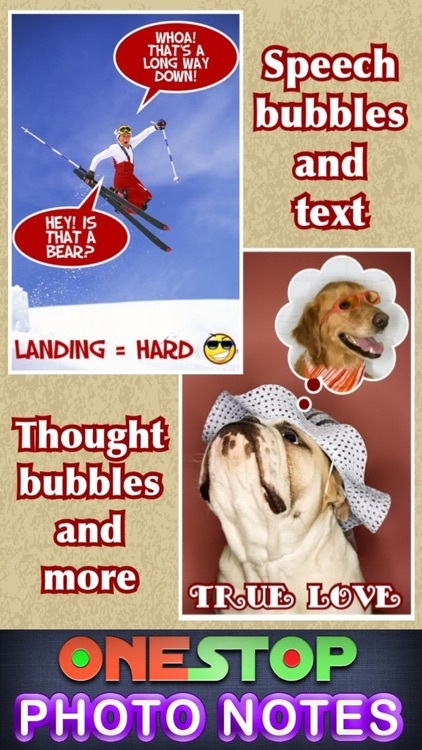 • Add thought bubbles, speech bubbles and text shapes to your photos. 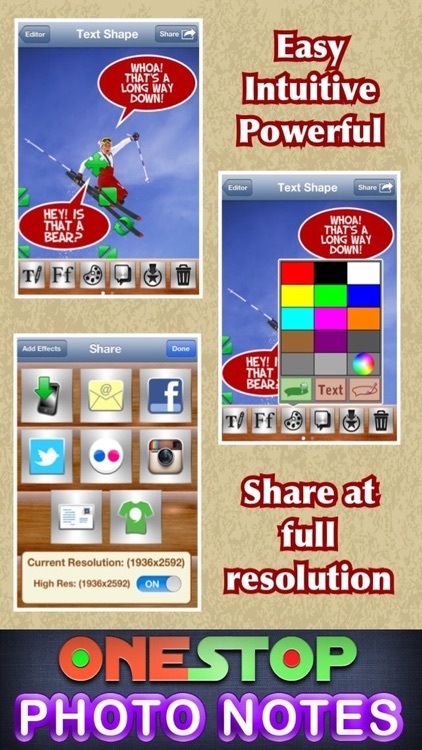 • Create innovative photo collages. • Add borders and drop shadows to your shapes. • Add smileys and other clipart to your photos. • Add black and white clipart to your photos, then color it. • You have full control over text and background color, opacity, and brightness. 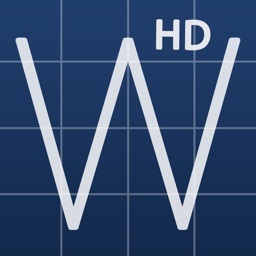 • You can adjust your shape's transparency for a watermark effect. 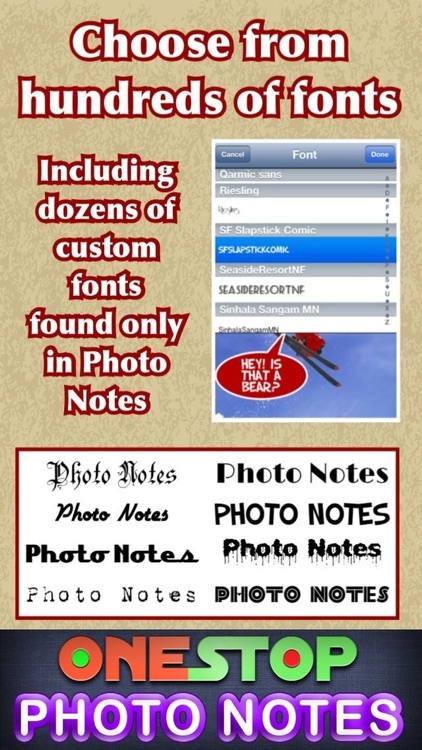 • Many custom fonts not found in other apps. • Double tap any shape to bring it to front. • Zoom and scroll your image. • Choose an image from your photo library or use your camera from within Photo Notes. • Shapes rotate 360 degrees. • Re-size your shape from all four corners, words wrap and resize automatically. • Drag the pointer on speech or thought bubbles. • Use the duplicate tool for an efficient way to create multiple shapes. • Change default settings from within the app. • Restore the last 3 deleted shapes from the trash. If you are having any problems with the app at all, please drop us a note at [email protected] We promise to answer any and all e-mails - we will get you sorted out.